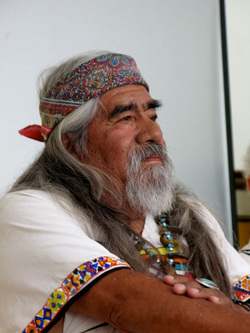 Tlakaelel is an indigenous elder, Sun Dance Chief, healer, and holder of the ancient oral tradition. If you have heard of the Mayan calendar you will be interested in learning from Tlakaelel's vast knowledge of history, astronomy and spiritual sciences. He is a world-renowned man of peace and one of the very few raditional elders left from his generation. Don’t miss this special opportunity to sit with a true elder! By donation ($25 suggested). A limited number of healing sessions and private consultations are available. Call 518-477-1416 for info.